It started with a childhood love for all animals, including many family pets. A bent for artistic endeavors was replaced by a greater desire to help keep pets healthy and happy. Providence eventually lead me to the veterinary school at Virginia Tech., followed by practice in No. Va. We moved to Lake of the Woods in 1992 and started a house call practice. We opened the clinic in 1996. Wanting even more ways to help my patients led me to study Acupuncture, then Animal Chiropractic, Traditional Chinese Veterinary Medicine, herbs, homeopathy, and other techniques. My/our goal is to be of service - to you & your pets & to our community; to be a good steward of the environment & all of God's creatures. Personal pets: One dog, Zuzu; 2 house cats, Phoebe & Grayson. Hobbies: my pets and painting, especially painting animals:-), Caps fan. Internat'l Veterinary Acupuncture Society, 1992. Dr. Erin Casey joined our practice in June 2015. She earned a degree in Biology from James Madison University in 2006. 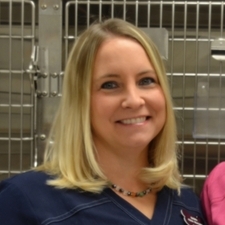 She then developed an interest in veterinary medicine and worked in several practices before attending veterinary school at Virginia Maryland College of Veterinary Medicine at Virginia Tech. Dr. Casey thoughtful, kind and skilled care of patients is much appreciated by all. 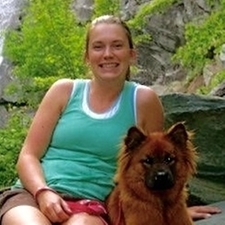 In her spare time, Dr. Casey enjoys hiking, cooking, and spending time with her pets. She has two dogs, Jewels and Crash, and two cats, Jasper and Hazel. Dawn is our Clinic Manager. Our very own "animal whisperer," she has been devoted to animals since childhood - dogs, cats, horses, reptiles, birds, wildlife, etc. Attended the Cedar Valley Veterinary Technology program. Special interests - compasionate patient care, rehabilitation, dental hygiene, and behavior. Holly is our Senior receptionist & social secretary. Client care, communications, & pet to people match making. Sherry is on our veterinary assisting team. She is is adept at all areas of animal care and in-house laboratory services. 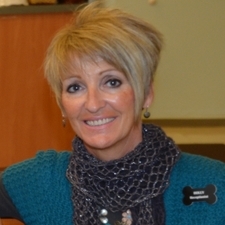 Sherry is a born lover of animals and a natural at animal caretaking. 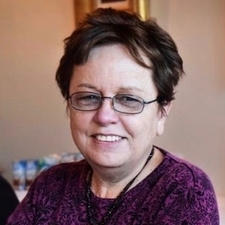 She has lived in Locust Grove since childhood, and graduated from Orange County High School. Besides working with us at the clinic, Sherry has a local pet sitting service which we highly recommend. 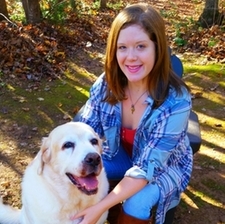 Sherry is a devoted and proud pet parent of 1 senior pooch and 2 young adult cats. She enjoys the outdoors, is an exercise enthusiast, and plans on pursuing her education as a Veterinary Technician at the NOVA Community College.